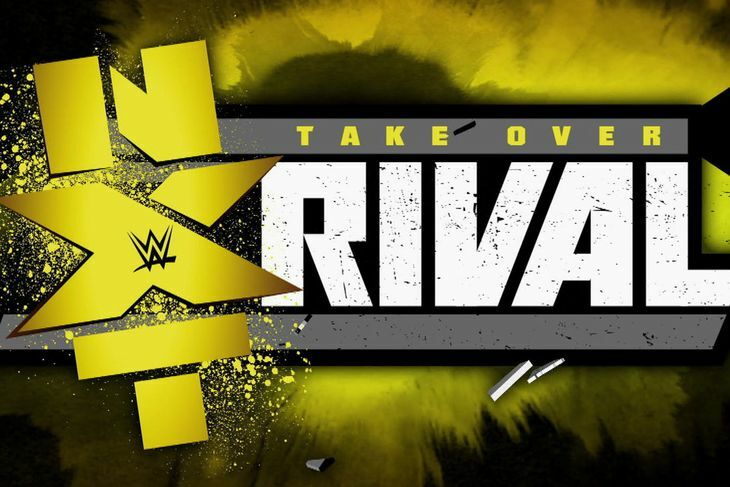 We are just a few short days away from WWE‘s NXT Takeover: Rival, which will be shown exclusively on the WWE Network (free for the month of February to new subscribers.) All championship titles will be on the line, the FINALS of the NXT Championship #1 Contender’s Tournament will be decided and a war between two of the most dominant forces in NXT ill finally have a victor. Emotions are sure to boil over and history is bound to be made in an explosion of the future. What are the Angelic Heel‘s thoughts and predictions for this highly anticipated event? Find Out! Kevin Owens made his intentions known to the NXT Universe the night of his debut at NXT Takeover: R Evolution when he powerbombed newly crowned champion and long time friend, Sami Zayn, into the ring apron. Owens would then attack the champion again once Zayn returned after healing from the original injury. This would bring Sami to demand a match against Owens to attempt to get answers and retribution on the man who betrayed him. Originally a non-title match, Kevin manipulated Zayn into begging NXT General Manager, William Regal, into making the match for the NXT Championship. This match is steeped in emotion and drama. After the attack, Kevin Owens was very tight lipped about his motivation for his attack on the NXT Champion. He would grow annoyed when people insinuated that he stole anything from his friend that night, and on more than one occasion stated that his reasons where between his own and that he has said from the beginning that he would fight anyone and everyone. He later revealed that what he did, was not personal, but that he fights for a prize. He waited over a decade for this opportunity and he would not wait at the back of the line anymore, and that the NXT Title meant a better life for his family. The actions of Kevin Owens deeply effected Sami Zayn. He believes the attack to be personal and not solely based on a desire to be the champion. The NXT Universe has seen what Sami Zayn can do when he uses his emotions to fuel his desire to win. Who do I see walking away with the gold? Kevin Owens. Sure, Sami just got the title and it sure would be a shame for him to lose it so soon, but look at what he is fighting against. A man with a belief. Kevin Owens has waited over a decade to get to the place where he is. He believes that the NXT Championship is exactly what he needs to provide a better and more comfortable life for the people he cares most about. What is it that Sami is fighting for? Honor? Retribution? Payback? It all seems to be for himself. Kevin Owens fights for his family. His conviction alone should be admired in that it does not matter who stands in his way, not even his best friend, nothing will block him from providing for his family. A Fatal 4 way for the NXT Women’s Title has never been done before, and with the four women in this match, it may never be done again. Of all the matches on the card, this one is the one I’m most interested in seeing (and considering the card, that is saying something <.<) All four women have history with one another. Charlotte and Sasha Banks used to be BFFs, Becky and Bayley used to be friends and , Charlotte and Bayley weren’t so at each other’s throats. Seems the only two who have disliked one another from the get go is Sasha and Bayley. And it is every woman for herself in this battle. Becky Lynch is the dark horse here. She has never faced Charlotte for the title or even flirted with the title scene. Since becoming one half of Team B.A.E. her star has risen exponentially. She is hungry to set herself apart and will be one of the unknowns in this match. She will be fighting to remove herself from Sasha’s shadow and prove that she is supposed to be there and not just in the match because it was convenient. Bayley has faced Charlotte for the title before and come up short each time. This time round Bayley has two things that are different as she heads into this match. Bad news is one of them is a knee that is not 100%. It is a target that is going to be honed on by each of the other three ladies in the match. But Bayley also has her new edge and aggressive style. She is taking things more seriously and has shown that she will not back down from a fight. She’s gotten very Sami Zayn about the situation, too many have mistaken her kindness for weakness, and now she’s out to prove all her nay sayers wrong. Sasha Banks wants to be champion. She has been chasing the title for months. The title for her would mean validation of all her hard work and everything that she has said since day one. That she is the Boss and the Baddest Diva in NXT. This match favors her since she does not have to pin Charlotte to win the title. One on one Charlotte has come out on top. Sasha also has something of an ally in the match. Granted it is everyone for themselves and alliances never last when a belt is on the line, but it’s still more of an advantage than either Bayley or the current champion have. This is Charlotte’s biggest challenge in her reign as NXT Women’s Champion. On numerous occasions she has successfully defended her title against both Bayley and The Boss and come out on top. She may be genetically superior to the other three women, but she doesn’t have to be the one pinned to lose her title. Who is walking out the NXT Women’s Champion? I am of the mind that this will be the challenge that Charlotte can not over come. It is not just 1 amazing competitor, but 3 others that she is stepping into the ring with. I see this as Sasha’s best chance to take the title and I think that she will be the one to walk away with the gold. It is time for the Baddest Diva in NXT to show why she is the Boss! In what many, including myself, would call an upset victory, Wesley Blake and Buddy Murphy won the NXT Tag Titles from the Lucha Dragons. No one saw it coming. But the Dub Step Cowboys pulled out a surprise victory and pinned the team that unseated the Ascension as champions. These two teams are evenly matched even with their different styles. Both teams work very well together and it could go either way. The #1 Contender’s Tournament for the NXT Championship has been a showcase of talent, skill and athleticism for the chance to compete for the most prestigious title in NXT. It now comes down to two men, Adrian Neville (The Man Gravity Forgot) and Finn Balor (The Irish Demon). Both men were challenged and prevailed against their opponents in spectacular fashion and are now set to go head to head in what will be a history making battle of high risk and innovative offense. This is the type of match that if you blink, you will most certainly miss something. Adrian Neville is fighting to get back on top. He was the longest reigning NXT Champion until he was unseated by his friend Sami Zayn. He is the odds on favorite to win the tournament as he has the experience and knows exactly what it takes to win and hold the title. That being said, he has never faced anyone like Finn Balor in NXT. He is skill set is similar to Adrian’s in that he is comfortable on the top rope and can pull offense from anywhere and any situation. The Irish Demon may be new to the scene but he is ravenous to show the NXT Universe why he is the best. I see this match going to Finn. Why? He isn’t just a physical wrestler. He will begin this match with his entrance. It will be spectacular and we will see Finn in Demon Form once again. If it was enough to throw the Ascension off their game (and it did, I have never seen them look more confused), then it is sure to get in the head of Neville. I believe that Finn is willing to fly higher and put more on the line that Adrian, so I see this match being neck and neck and very even, but the psychological factor is what will put Finn Balor over Adrian Neville. So some would say we’ve seen this match twice before. That Baron beat Bull solidly both times. And yes, that did happen. But now the gloves come off and things really get serious. It is a no DQ match between two men that can not stand one another. Both are known for blowing through every opponent they have ever faced and Dempsey is 0-2 against Corbin. With No Disqualification that opens it up to all sorts of fun to be had. These two men can really lay into one another and decide once and for all, who is the better man. For Bull Dempsey this is personal. He was wrecking NXT competitors before the Lone Wolf of NXT came on to the scene. And to make matters worse, Dempsey’s 2 losses come at Corbin’s hands. He has something to prove and he will use everything at his disposal necessary to see it done. 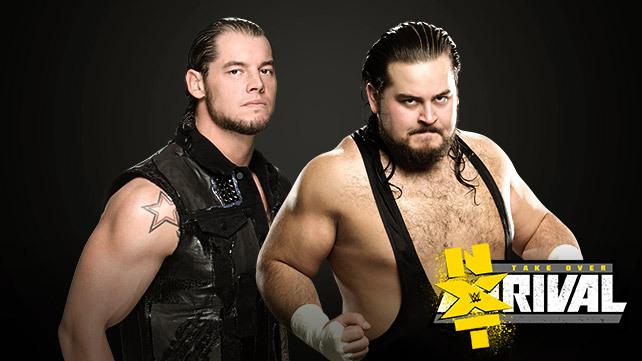 Baron Corbin on the other hand knows he can beat Dempsey. He’s done it twice, I think he’s gonna go for the hat trick and make it 3-0 against Bull. This entry was posted on Monday, February 9th, 2015 at 7:23 pm	and is filed under Events, News, Television. You can follow any responses to this entry through the RSS 2.0 feed. You can skip to the end and leave a response. Pinging is currently not allowed. « Comic Con: Dallas Fan Days 2015! !